Posted by Brennan Harcus in Army building, Space Wolves. Keeping those principles in mind I consulted with Kevin as to what exactly he expects out of his army, and what he expects out of his individual squads. He told me he was looking for a more assault oriented army that kept with the 5th ed theme of Mechanized Warfare whilst maintaining the gameplay style tradition of the Sons of Russ. Keeping the above roles in mind, I set about creating a list. This army specializes in assaulting and overwhelming the enemy deployment zone and home objective. The majority of the force is held in reserve, with the exception of the Grey Hunters in a rhino. When reserves begin to arrive, this is where this army shines. Wolf Guard Terminators deepstrike straight on top of enemy objectives or enemy hard points.They are armed with Frost Blades and Wolf Claws for tearing apart infantry, as well as a pair of combi-meltas for rear armour tank popping upon arrival. One is equipped with a Power Fist and Storm Shield in the event of fighting Monstrous Creatures. The Wolf Guard Battle Leader deploys with this squad, lending additional Close Combat prowess to the group with his own pair of wolf claws. The Battle Leader also comes equipped with the Saga of Warrior Born, increasing his chances to hit to a 3+ roll, as well as adding flavor and personality to the hero. Wolf Scouts, when they arrive, have a 3+ chance of arriving upon any table edge the owning player desires. Even the enemy’s table edge if desired. The advantage is supplemented by the squad’s melta gun, that can be used to pop enemy vehicles hiding along the back line. The squad is also equipped with a power weapon to better aid in the unit’s role of heavy weapons disruption and busting enemy objective holders. The Scout Squad is led by a Wolf Guard, armed with a Frost Blade, to better aid in any assaults. 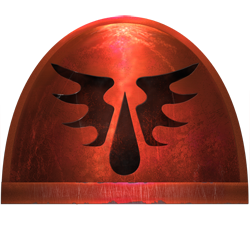 The Blood Claws will be deployed 9 strong in a drop pod, to be positioned on (or as close as possible) the enemy objective. Armed with a Power Fist, the squad’s close quarters capabilities are enhanced, allowing them to run down vehicles and infantry with a fair amount of ease. Accompanying them in the drop pod is a rune priest, with the Storm Caller and Jaws of the Wolf world psychic powers. The Storm Caller ability grants himself and his attached squad a 5+ Invulnerable Save for one full turn, necessary for the initial arrival and the firestorm inevitably waiting for them. The Jaws ability causes a lot of pain; I’m leaving it at that. The Grey Hunters are deployed 10 strong in a rhino, and should begin deployed on their home objective. They are equipped with two plasma guns to dominate any short ranged fire fight they may find themselves fighting. Now the Grey Hunters can be used in many different ways. They can be used as a baby sitting force, using the protective hull of a rhino to effectively stay alive on the home objective, and forcing the enemy to bring heavier arms to bear on a most likely hull down and obscured vehicle. The rhino is a larger construct, so positioned correctly it can occupy the full 3” required to contest an object, thereby forcing your opponent to destroy the rhino in order to contest the objective (works sometimes). Alternatively, the Grey Hunters can also use the rhino to overwhelm any center objectives thanks to its mobility and the Grey Hunter’s short ranged firepower. As well, the Grey Hunters may use the Rhino to pincer the enemy between itself and your other deep striking units. The Wolf Guard Battle Leader can be represented by the 5th Terminator in the Terminator kit. Requires only conversions. 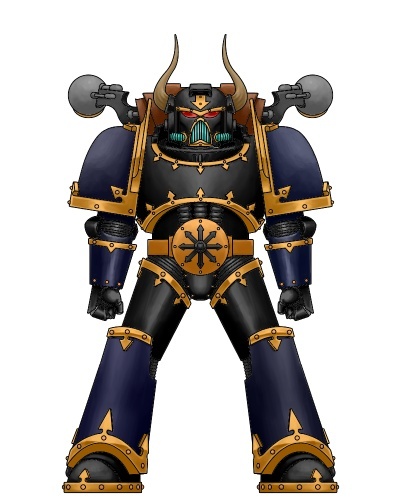 The Wolf Guard pack leader attached to the Scout Squad can be represented by the 10th Blood Claw from the Battle Force. Requires only conversions. Everything else can be used as is. Posted by Brennan Harcus in Uncategorized. The idea behind this list is to maximize Breath of Chaos potential while providing a distraction to these powerful ranged units. The Bloodthirster is the ultimate distraction unit, a terrifying monstrosity with WS10, Str 7, Furious Charge, Wings, and Armour Sv 3+ Invul 4+. The enemy fire will we almost certainly brought to bear exclusively at the Bloodthirster, or the two heralds, each sporting 5 wounds and a 4+ Invul. Everything in this army can jump 12”, except for troops, the horrors reserved for DS tank popping via Bolt of Tzeentch. Herald count as Jetbikes, so they can Turbo Boost if necessary. Plaguers duty will be reserved to home objective baby sitting. The Flamers and the heralds will be the most dangerous units in this army, melting all infantry (nothing can stand against that sorta barrage) and glancing vehicles to get some stun results. Breath of Chaos is a template weapon that wounds on 4+, ignoring armour and cover saves. This thing eats infantry, and Monsterous Creatures. Any stunned vehicles will be swept up by the Bloodthirster, or Bolt of Tzeentch. Posted by Brennan Harcus in Army building, Blood Angels. Posted by Brennan Harcus in Chaos Space Marines. I’m a 40k buff, Interactive Arts and Technology major at SFU Surrey, and my likes include laughter, walks on the beach, and tearing apart the pitiful Imperium of Man. I’m also the founder of JH40k, meaning Johnston Heights 40,000: A Warhammer club created back in high school. However, it is my intent to continue the legacy into University, where I will create SFU’s first wargaming collective.